Arrested for Dealing in Stolen Property? What will happen if I am arrested for Dealing in Stolen property? Dealing in Stolen Property is a second degree felony and is punishable up to fifteen years in prison and/or probation and a 10,000 dollar fine. These are the maximum penalties and are usually NOT what a person will receive if they get convicted. What defenses do I have if charged with Dealing in Stolen Property? Did you have a satisfactory explanation why you bought the goods? Did you have any reason to believe the property you bought was stolen? Did you have any reason to believe the property you sold was stolen? What were the innocent set of circumstances that resulted in you having possession of the stolen property? How did you come in possession of the property? What can you expect after you are arrested for dealing in stolen property? If you have been arrested for Dealing in Stolen Property, you will be taken to jail and most likely be given a bond where you can post and get out. You can post the bond yourself or hire a bondsmen. You will then face an arraignment, where you can plead not guilty. If you have a lawyer who specializes Dealing in Stolen Property cases, they will file a plea of not guilty on your behalf you will not have to show up for the arraignment. After that court date, your lawyer will get the State’s evidence against you and determine whether you have a reasonable defense to the charge. The lawyer will: review the discovery the State provides, meet with you, and determine whether any of the above mentioned issues apply to your case. If you have a satisfactory explanation as to why you bought, sold or were in possession of stolen property (which you did not steal) then the charges may get dropped. If the State does not find your explanation satisfactory, then you have the right to go to a jury trial in your case if you do not accept the prosecutors proposed resolution. Often times, these charges can be reduced to a misdemeanor theft charge, but it will depend on the prosecutor and the facts of the case. 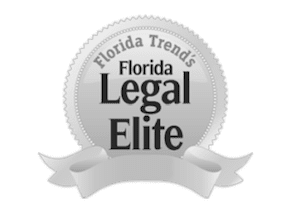 If you have been arrested in Orlando, or the rest of central Florida, for the charge of Dealing in Stolen Property, please contact our Umansky Law Firm theft defense lawyers who can assist you in the defense of your case. Contact us as soon as possible for a free case evaluation where we will go over your police report, give you a free strategy planning session and give you a free book so you can familiarize yourself with the criminal justice process. Contact or give us a call today!